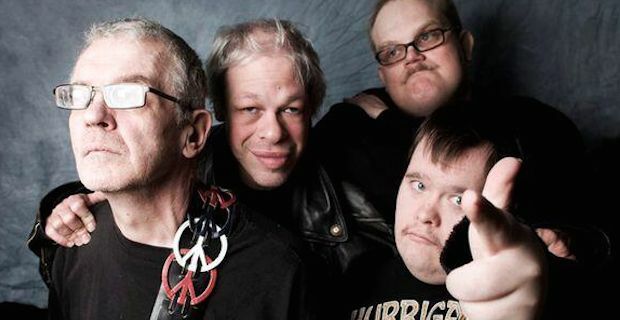 A unique Finnish group, whose band members all live with learning disabilities, are applying to compete in this year's Eurovision Song Contest. The group will first have to battle it out with 17 other Finnish bands though to earn the right to represent Finland in the competition. Pertti Kurikan Nimipaivat, which translates as Pertti Kurikka’s Name Day, is comprised of members living with Down Syndrome and Autism. The line-up goes as follows: Kari Aalto is the lead singer, Pertti Kurikka is the guitarist, Sami Helle plays bass and the quartet is completed with drummer Toni Välitalo. Their manager, Kalle Pajamaa, explained their interest in the competition saying "Pertti the guitarist is a big fan of Eurovision. Their families are supportive as well as the fans." The main reason for them entering the competition is to raise awareness around learning disabilities and hopefully increase the number of social programs on offer in Finland. The band have been in the limelight before in a 2009 documentary titled The Punk Syndrome which showcases the bands desire for rocking out. It sits as a great piece showcasing the important role that music can play in allowing disabled people to express themselves. The band will compete live on national Finnish TV in a bid to win over viewers who ultimately decide the nation's representative through a public vote. The big show airs this Saturday, February 7th, where the band will perform their song Aina Mun Pitää which translates as Whenever I Have To and they hope that they will get their chance to perform it again on the Eurovision stage in Vienna later this year. Home and away. Classical music festivals for those looking to enjoy romantic music in a romantic setting this summer.